Nutrisystem advises people who fall under a few categories of health or cultural conditions to not use Nutrisystem’s weight loss plans. People must understand that why they are not eligible to use it. Nutrisystem wants everyone to remain in perfect health and aggressively promotes healthy lifestyle but here are a few exceptions. People who follow a ‘Vegan’ diet cannot use Nutrisystem’s weight loss modules. Vegan diet prohibits the use of any kind of animal obtained products including meat, eggs, milk, cheese, and all other dairy products. Nutrisystem’s meals are available for vegetarians though, but the vegetarian diet still contains cheese and other dairy substituent. Halal diets are not supported by Nutrisystem’s weight loss meals. Halal diets require abstinence from pork and its derivatives and a lot of typical slaughter practices which can’t be taken care of by Nutrisystem. Nutrisystem uses gelatin in lots of desserts as it’s a very low calorie and satisfying option for the dieters. But gelatin is a pork derivative. Nutrisystem meals are designed to be full of a required amount of proteins for healthy weight loss. Therefore it uses peanut butter and soy which are low on fat and healthy protein providing items which cannot be substituted by other means as they won’t be that effective in weight loss. Nutrisystem prepares foods which are packaged and storage friendly without the requirement of refrigeration and it becomes unavoidable to use latex during the food packaging process. But some people are allergic to latex, soy and peanut derivatives and should refrain from using these meals. Bulimic or anorexic people are strictly prohibited to stay away from further weight reduction practices as their bodies are already very weak and devoid of many nutrients. Also if a person is overweight and bulimic due to some hormonal condition then also Nutrisystem advises to not use its services as bulimic people tend to throw up food. They will not be able to properly digest the meals and benefit from its unique structured composition. Nutrisystem uses only good carbohydrate foods with a low Glycemic Index but still some Ketogenic diets require the use of only `gluten-free’ foods so that the patients don’t experience severe bloating, gas and constipation issues. Therefore these requirements are not satisfied by Nutrisystem as of now. But Nutrisystem may decide to bring options for these people too at some point of time. Nutrisystem advises people with kidney stones to not use its weight loss services as while losing weight and dieting your kidneys are already burdened with toxin removal. Also some egg derivatives used in cookies, chocolates and biscuits contain purines which are harmful for kidney stone patients. Pregnant woman have different health and nutritional requirements. They cannot take calorie deficient food because the fetus developing in the womb is dependant solely on the nutrients from his mother’s body. Also mothers who are in the initial stages of feeding their infants require high calorie food for a few months. 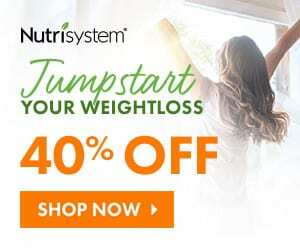 Though after that duration, new mothers are invited by Nutrisystem to benefit from its simple weight loss plans to shed off their baby weight easily. Also, children under 14 years of age should not use Nutrisystem’s program as they require proper sufficient calorie diet filled with healthy fats too for their proper mental and physical growth and development. Nutrisystem launched a solicitous program for teenagers in 2012 known as `Nutrisystem For Teens (NS4T) which consolidated the Nutrisystem’s vision to make the world a healthy place to live in by people from all walks of society getting encouraged to keep themselves and their families fit including children in whom proper eating habits had to be instilled as early as possible as they represent the future of a country. 1 Week Free + FREE BARS & SHAKES + FREE SHIPPING! The Nutrisystem for Teens is a tailor- made program framed with children of 14-17 years in mind. This program offers a well balanced diet for teenagers with 1400 calories for girls and 1700 daily calorific intake for boys is there. The meals prepared for this plan comply with the daily recommended dietary allowance meant for the growing children. All the meals contain balanced nutrients and proper carbohydrates, proteins and fat ratio meant to trigger weight loss in children. The need for a customized weight loss program was felt by the Nutrisystem because the obesity among teens has been steeply rising, thanks to all the high sodium containing packaged junk food included in their daily meals and snacks. Working parents are unable to keep a track of their children’s meals as they have no time to prepare healthy meals for them. The Nutrisystem for Teens solves this problem of parents by offering a weight loss plan suited for their fast changing bodies. This structured packaged meal plan consists of portion controlled meals which are low in sodium and glycemic index (GI) and involves the use of additional grocery items including fruits and vegetables. Also it is advisable to incorporate skimmed dairy products and daily portions of healthy low fat proteins like lean beefs and veils. Nutrisystem gives out clear guidelines to decide what body type of children should be considered over weight so that anorexic teens or dieting fanatic girls don’t misuse the program. It clearly states only those teenagers need the Nutrisystem for Teens weight loss plan who are in the 85-100 percentile of Body Mass Index (BMI). This BMI calculation would assist the parents to sketch out a plan for their child’s dietary needs. This is the reason that Nutrisystem guidelines make it mandatory that the parents’ involvement is a must and they must approve the children’s weight loss. Nutrisystem encourages that the eating habits of children should be altered at a young age if found inappropriate to prevent them from falling prey to diseases like Type- One diabetes or heart stroke risks. These diseases which were earlier associated with adult people is alarmingly seen commonly in teenage children too. Physical activity is also promoted by Nutrisystem for teenagers to keep them active while on the weight loss plan though it’s not a compulsory criterion to ensure their weight loss. To assist the parents to become able to properly guide their children throughout this weight loss program, Nutrisystem also provides elaborate reference manuals to the parents. Not only this, special counselors are also provided to the children to help them deal with the weight loss journey emotionally. `If you want your child to become fit, then you better gear yourself up for weight loss simultaneously’ because children learn from parents. Nutrisystem’s diet plans are self sufficient in causing weight loss which is guaranteed. But you also shouldn’t take it for granted and make some efforts to maximize the benefits of Nutrisystem’s structured diet plan so that you achieve results at a very quick pace. Alcoholic beverages should not be taken while on Nutrisystem. In all the 150 meal options provided by Nutrisystem’s vast menu, you will not find even a single dish with alcohol content. Nutrisystem strictly advises to not consume any wine or alcoholic item. Alcohol is devoid of any nutritional properties and it causes the blood sugar level to fluctuate which hinders the weight loss process. The liver and kidneys are overburdened with alcohol consumption and it affects nutrients absorption in the gastro-intestinal tract of your body. Cheat meals should be avoided when on the Nutrisystem weight loss plan if you want quick results. An occasional cheat meal would do if you are taking in a resonable amount of carbohydrates. Other wise your whole efforts can go waste with the caloric rise due to cheat meals. Exercising a little won’t harm you literally. We all know that Nutrisystem’s meals are the only tool required for weight loss. But if you do some daily exercising and workouts by using DVDs launched by Nutrisystem, then you would highly accelerate your weight loss and would lose a lot of extra weight too. Nutrisystem also promotes physical activity which should be done at least 30 minutes daily for maximum benefit though its not a deciding factor. Actually exercising enhances your metabolism, keeps insulin low and produces enzymatic hormones which trigger the dissolution of existing fat. Eating proper quantities of meals prescribed by Nutrisystem and not skipping meals goes a long way in your weight loss journey. If you will take less than the prescribed quantity of meals by Nutrisystem thinking that your weight loss will be faster then you are wrong. If you take less than 1200 calories a day, then your body switches itself to `Famine Mode’ where the body will work hard to not let the existing fat melt away thinking that it won’t get enough of it in future. It’s a survival reaction of your body. Therefore don’t skip a meal and don’t get into the `Famine Mode’. Eating proper supplementary substituents like fruits, vegtables, dairy, and a small protein portion is advocated by Nutrisystem. But it is extremely essential that you do not over do something. Eating an apple with your breakfast will do you good and provide you with complete nutrition. But if you snack on an apple, two bananas and two oranges with your Nutrisystem breakfast meal then you would gain weight rather than loosing it. You have to be sensible and systematic in your approach and follow the Nutrisystem’s guidelines exactly. Using whole grains and appropriate food items while on `Dinners on Your Own’ or `Weekends on Your Own’ is very essential and only good carbohydrates should be taken while on your own on these days. That way you would achieve weight loss properly. This point can’t be overstressed enough. Thinking positive and keeping the right attitude during your weight loss journey with Nutrisystem will keep of depression and depression related hormonal weight gain. That’s the reason Nutrisystem provides you with counselors and dieticians to solve your problems. Utilize the opportunity provided by Nutrisystem to the fullest, follow these simple measure and reach your `Now I Can Moment’ soon.